The Farmstead Office Park at Rocking Horse Farm is designed to be indigenous to North Dakota. When complete, it will feature eight farm-style office buildings on approximately 10 acres. In total, it will have approximately 80,000 square feet of office space with ample surface parking. Please note this plan is tentative and subject to change without notice. Future building/parking lot design, size and location may vary depending on prospective tenant needs. The Farmstead Office Park is not only unique by nature, but by design. The future buildings planned for the office park can be fitted up for any business. We are open to collaborate in order to get the most efficiency out of your office's floor plan. Rocking Horse Farm allows businesses to operate in a rural setting, while keeping a close proximity to several amenities and local support businesses. Osgood Golf Course includes 9-holes, a separate 3-hole practice loop, as well as a bar & grill! 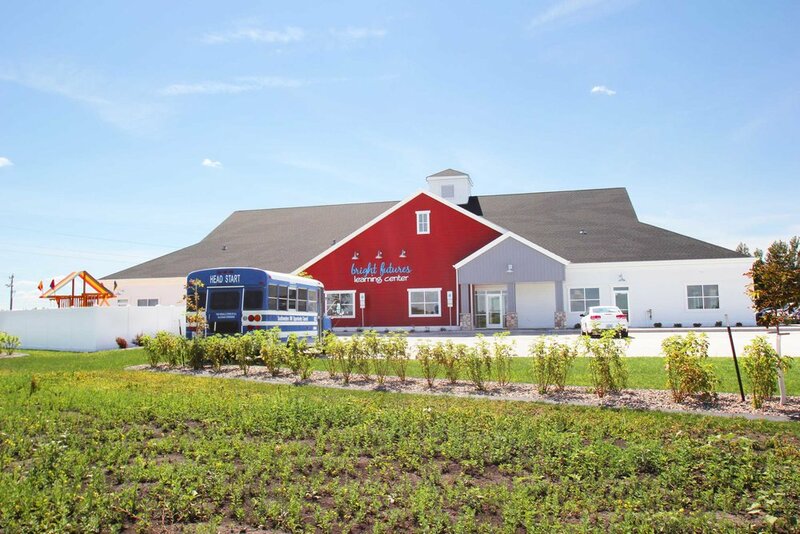 Bright Futures Early Learning Center is located in the southwest corner of Rocking Horse Farm. The Farmstead Office Park gives your business a memorable place for clients and employees alike. Want to be a part of the Farmstead Office Park? Send us a message!